The tour covers 45 km (28 mi) and is approximately 4 hours long, including short stops when needed (toilets are available). 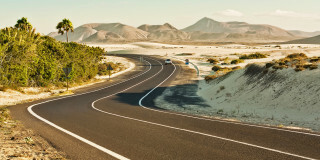 But the length of the tour always depends on the speed of the group, so it may be shorter or longer. All tours are commented in English, German, Spanish and Dutch. All downhills have a 100% safe bypass. 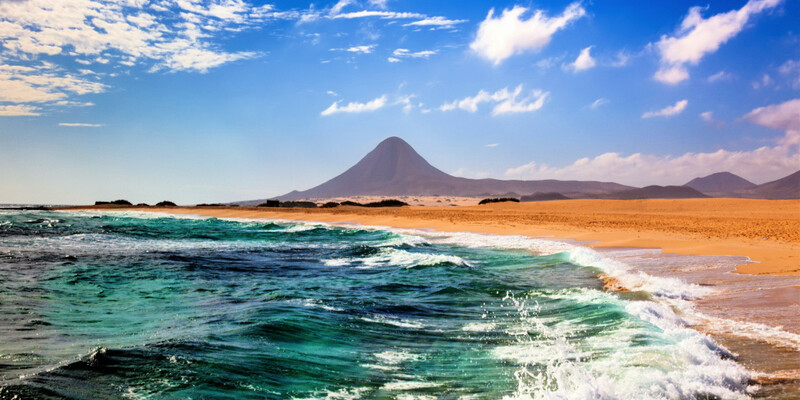 Once explored, the north of Fuerteventura is difficult to forget. 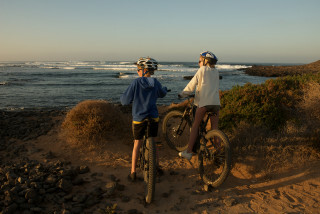 From the miles of sand dunes of Dunas de Corralejo and the sandy paths of Punta Ballena, to wild coastlines with an endless breeze, this e-bike tour shows you a different world at every turn. Thanks to our top-quality e-bikes and patient, experienced guides, this 45-km (28-mi) tour is suitable for leisure bikers, beginners and families. A short introduction to e-bikes is all that's needed before we start our four-hour tour, pedalling at a pleasant speed and stopping when you'd like a short break for photos, or to simply look out at the horizon. Your guide has plenty of interesting knowledge about the area, which he shares throughout the tour. You ride over volcanoes, pass through charming local villages, and enjoy the fresh fruit we provide while relaxing at a 100-year-old lighthouse on the stunning coast. The fresh air that is so specific to the sea remains with us at all times. Views of Mount Tindaya, a 400-m (1,312 ft) high mountain considered sacred by the island's original inhabitants, add to the magical feel of the island. 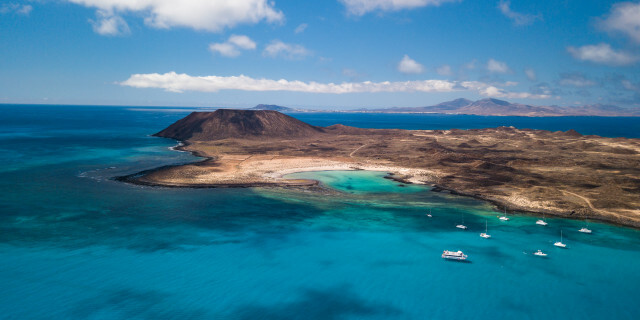 On this perfect route you you will visit several other highlights of Fuerteventura, such as the authentic fishing village Majanicho or an Aloe Vera farm. You will also enjoy exciting bike descents, always with an easy bypass option for those less certain on their bikes. 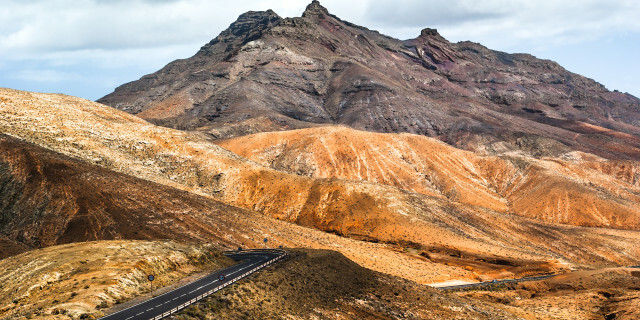 Discovering the northern part of Fuerteventura on an e-bike means seeing more while still having energy to explore during the rest of the day. Perfect for groups of families or friends, it's a wonderful memory to take back from your visit to the Canary Islands.